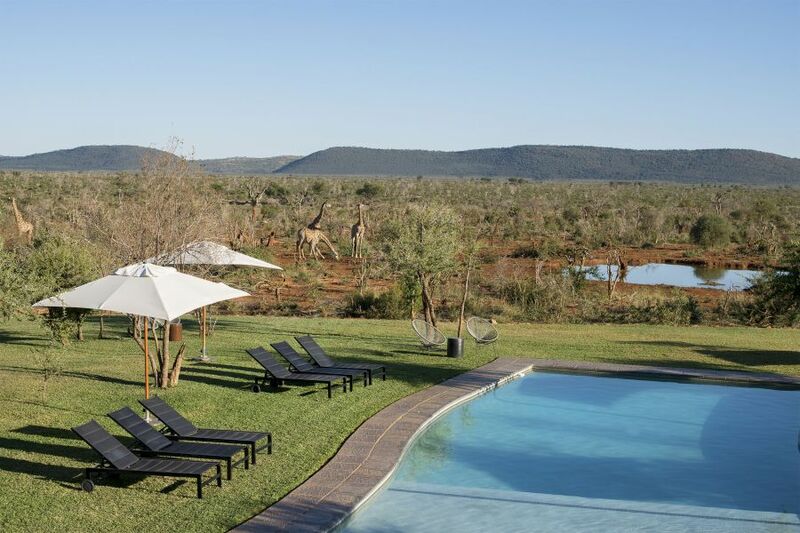 Madikwe Safari Lodge is set in the north-eastern corner of malaria-free Madikwe Game Reserve, an area acclaimed for its superior diversity of fauna and flora, including the Big Five. 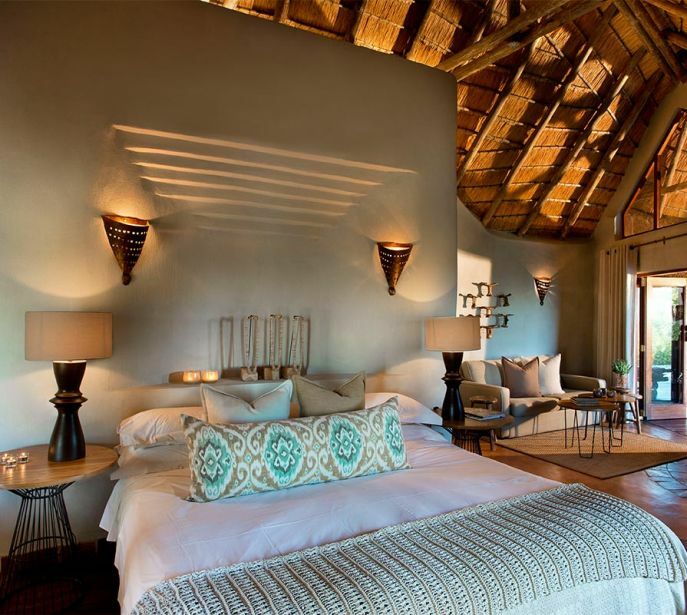 This sublime Lodge comprises three separate accommodations – Lelapa Lodge, Dithaba Lodge, and Kopano Lodge – providing 20 charming thatched rooms in total. The spacious rooms are all beautifully decorated in a crisp contemporary style with an eclectic Afro-centric twist and positioned to maximise the panoramic views of the magnificent terrain below and across to the Dwarsberg mountains in the distance. 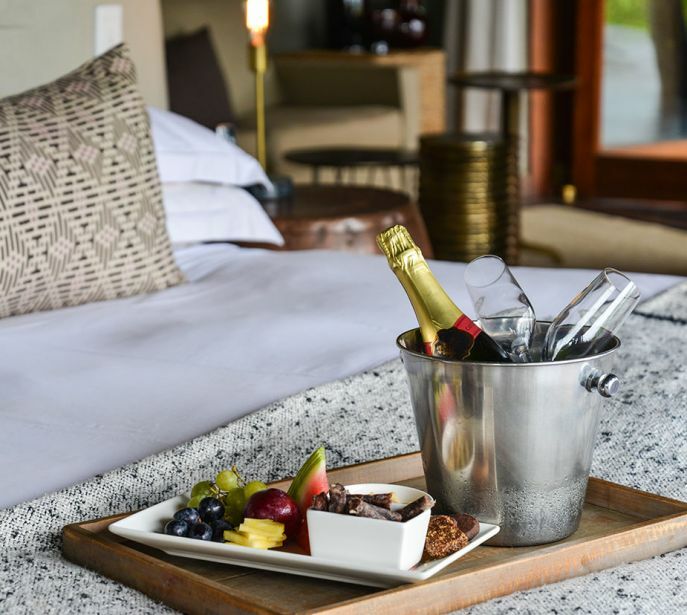 Each of the 20 air-conditioned rooms boasts a double bed, wood-burning fireplace plus an electric blanket for the cooler winter months, a comfortable lounge, full bathroom, indoor and outdoor showers, and raised wooden verandah with a private plunge pool. Extra amenities include gym-in- a-basket (dumbbells, exercise mats, core strengthener ring), a hairdryer, insect repellent, international adaptor plugs, a safe, and mini-bar. Lelapa Lodge takes its name from the Tswana term meaning “family” and lies in the centre of the Madikwe Safari Lodge group of accommodations. This family-oriented Lodge can sleep a maximum 24 visitors in twelve delightful rooms and welcomes children of all ages. It is also suitable for disabled travellers who have assistance). Four of the rooms offer a second bedroom with two single beds for children aged 15 years or younger. One of these extended rooms is fitted with a sleeper couch, making it perfect for families with a third child. Lelapa’s open-plan reception area has indoor and outdoor dining spaces and a bar lounge which opens onto a patio from where you can take in the panoramic vistas or amble down to the communal pool. Additional facilities include free Wi-Fi in the common areas, children’s activities, babysitting services, and menu alternatives for visitors with specific dietary requirements. 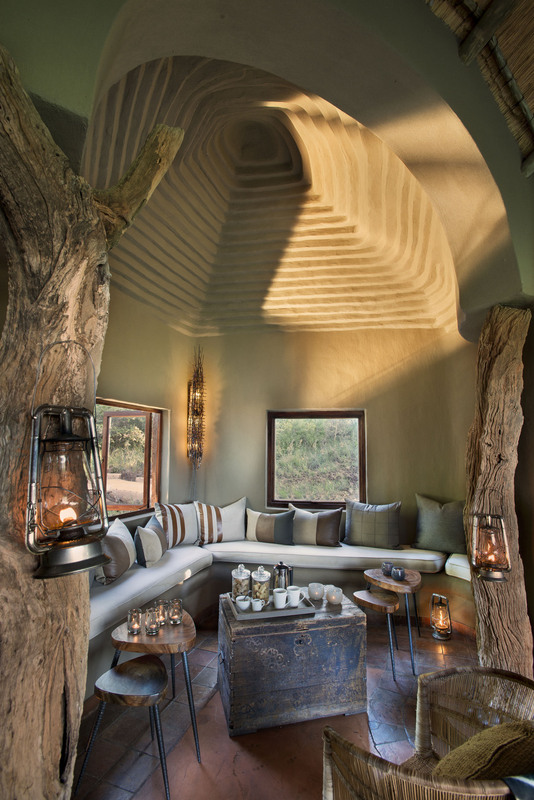 This hillside Lodge takes its name from the word Dithaba which means“mountain” in Tswana and offers a spectacularoutlook on Madikwe’s extensive savannah. With just four double rooms, this secluded Lodge is perfect for smallfamily and group breakaways. Visitors should be aware, however, thatthe Lodge is usually only open to teenagers 16 years and older and isnot fit for disabled travellers due to its elevated position. Dithaba can also be booked on a sole-use basis for a larger family orgroup gathering in which case children of all ages are permitted.Exclusive-use of this fabulous Lodge includes the services of adedicated lodge manager, a chef who will happily cater to your dietarypreferences, and a certified field guide. 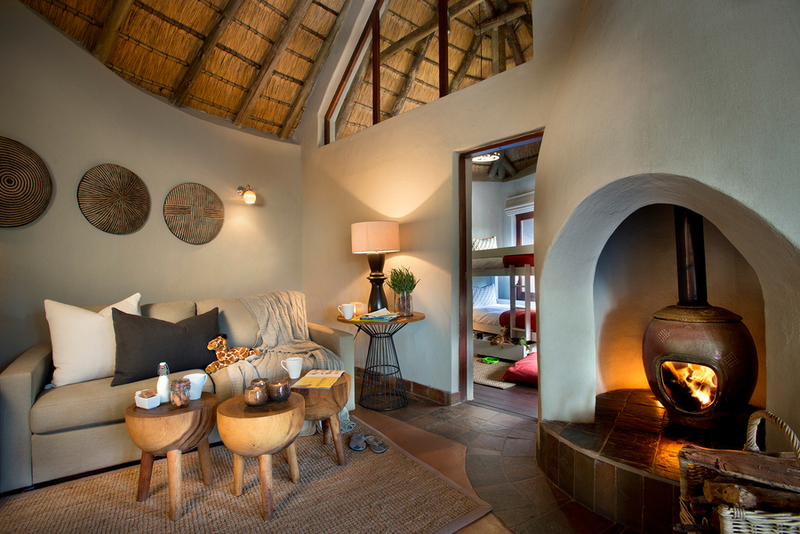 The Lodge’s chilled visitor hub has an indoor lounge,complete with a wood-burning fireplace, and dining area as well as anoutdoor sitting area and dining space where dinners are served underthe infinite twinkling stars of the Milky Way. 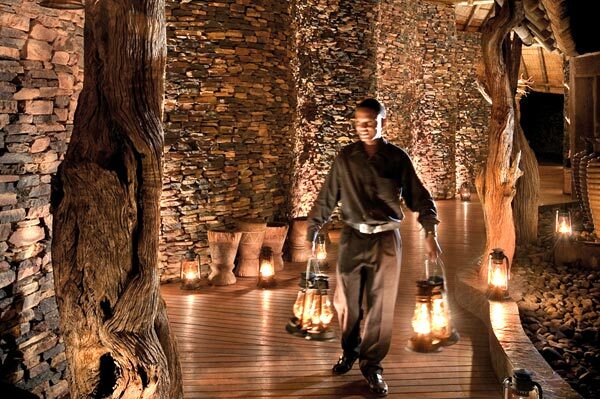 Secluded Kopano Lodge truly lives up to the essence of its name which translates as “small gathering” in Tswana. 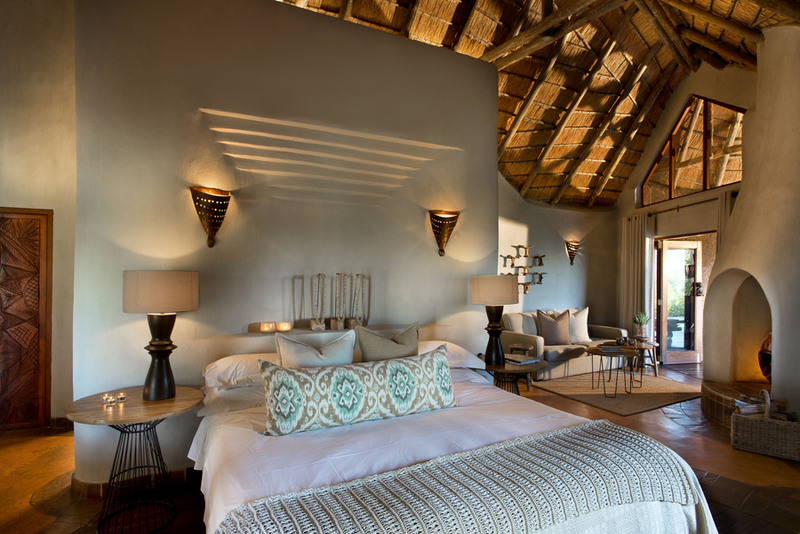 As the flagship Lodge of the Madikwe Safari collective, Kopano can sleep up to eight visitors in four elite suites, ensuring the ultimate in memorable bushveld getaways. Visitors should be aware that Kopano does not cater to young adults and children aged 15 years and younger. However, it is open to disabled travellers with assistance. The Lodge also has menu options for visitors with specific dietary demands. 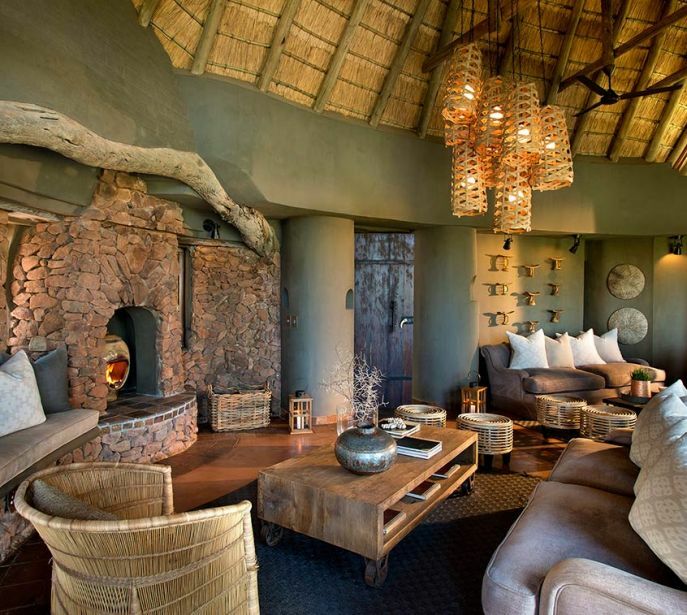 Kopano’s striking open-plan main visitor area features tastefully-appointed indoor and outdoor dining spaces as well as an interior lounge, complete with a wood-burning fireplace, and exterior gathering space from where you can appreciate the utter peace and impressive scenery of Madikwe Game Reserve uninterrupted. 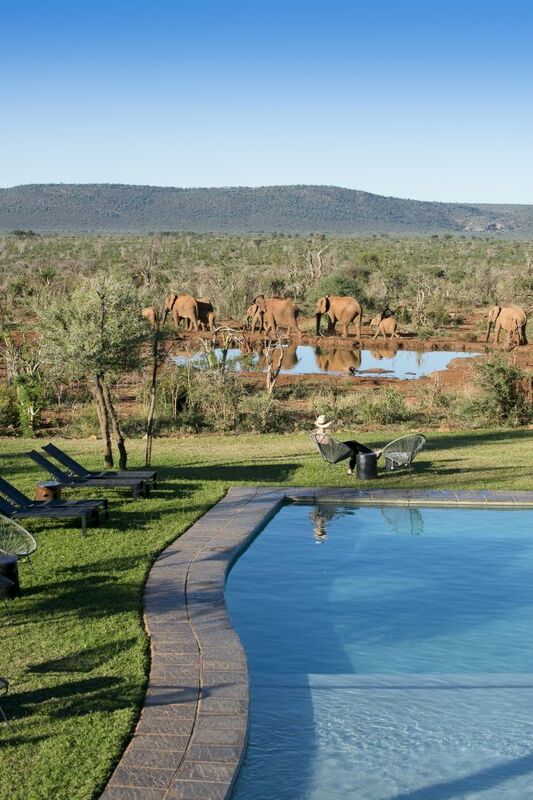 A stay at Madikwe Safari Lodge promises ample opportunities to explore the wonderful array of fauna and flora that call Madikwe Game Reserve home. 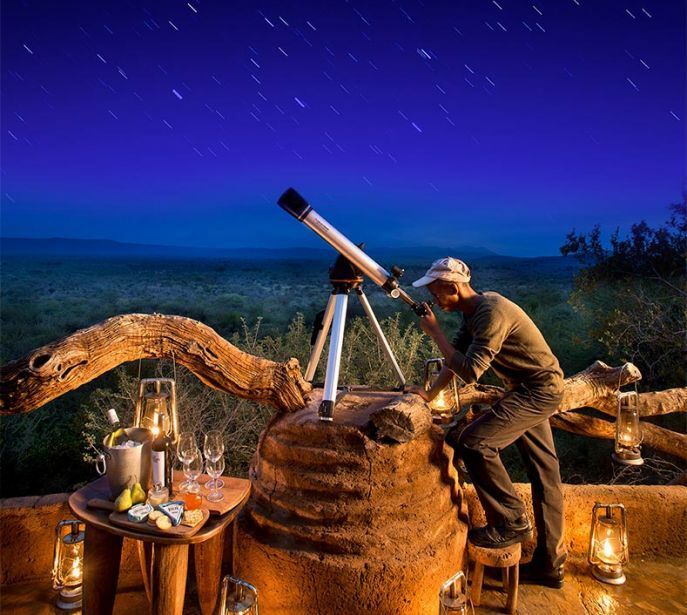 Activities include morning and evening game drives in 4X4 safari vehicles, guided nature trails, bird spotting, bush breakfasts, picnics, and dinners, stargazing, and cultural village tours. For safety reasons, children under six years of age cannot participate in the regular game viewing activities. 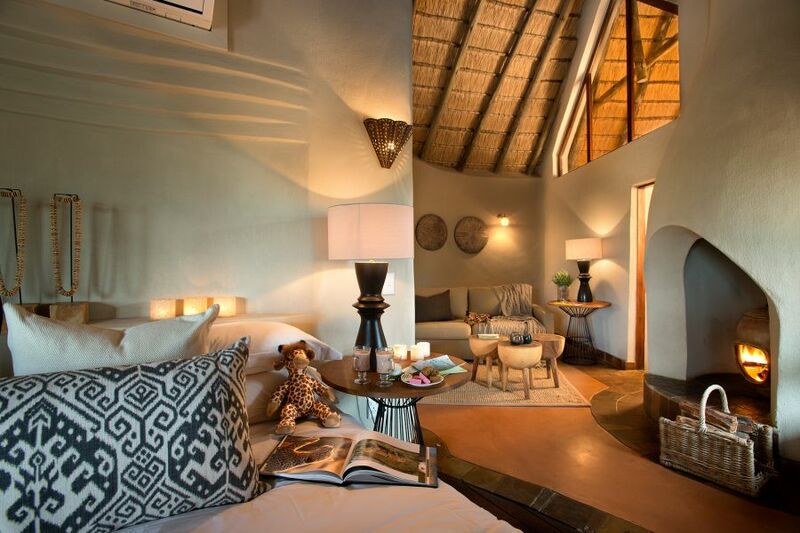 The good news is that Madikwe Safari Lodge is known for the special attention it pays to junior visitors. To this end, the Lodge offers a late morning family drive for children aged two to five years. The highlight for junior visitors, however, is sure to be the Lodge’s Eco House. Here youngsters can join in a range of supervised interactive “Cubz” activities including bush orientation, bug CSI, dung tracking, track pack with plaster of Paris, painting, drawing, arts, crafts, baking, pizza-making, stargazing, games nights, and more. 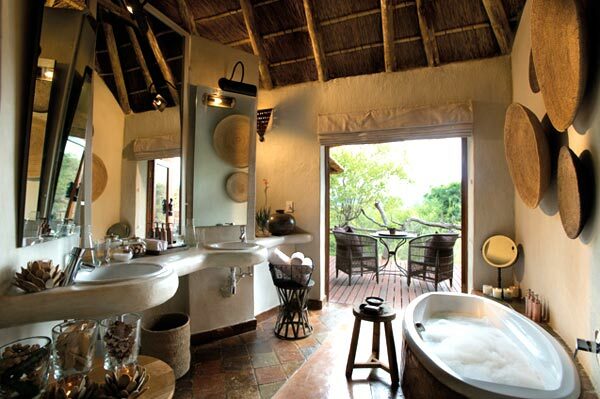 While the kids play, why not take the time to indulge in a revitalising spa treatment in the privacy of your room. Or peruse the Lodge’s gorgeous curio boutique. 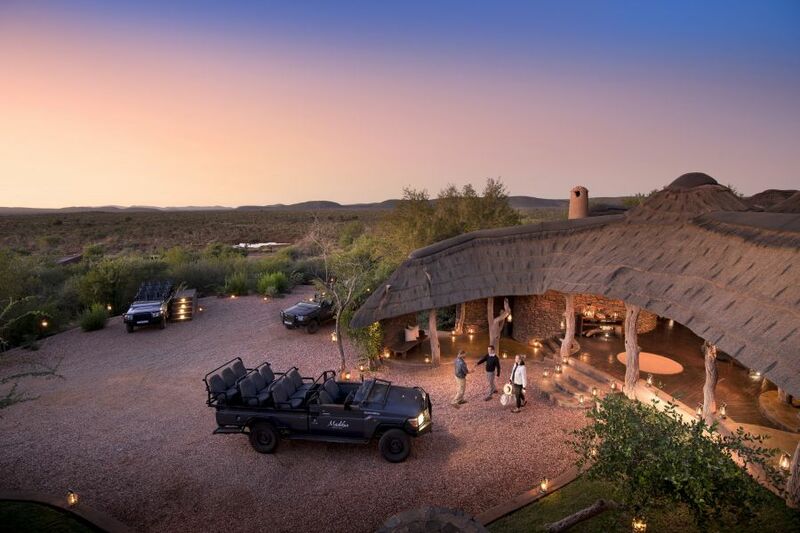 If the idea of an idyllic bush wedding is your dream come true, each of Madikwe Safari Lodge’s individual accommodations can be reserved on a sole-use basis for intimate nuptial parties. The Lodges are all equipped to ensure your wedding ceremony lives up to your expectations of a memorable “big day” against the background of the pristine African bushveld. And what better destination to spend your honeymoon, celebrate an anniversary or enjoy a romantic couples hideaway. 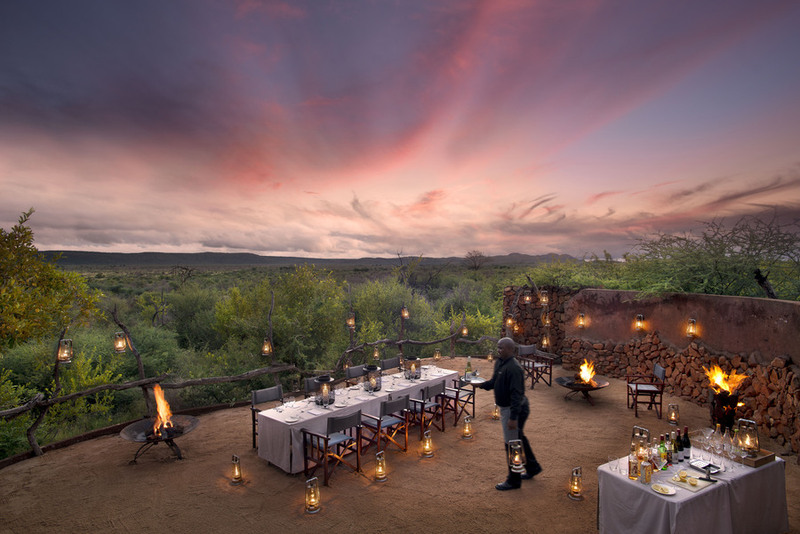 Renowned for its five-star service and authentic hospitality, Madikwe Safari Lodge is the ideal setting to commemorate life and answer the call of the great outdoors without sacrificing on life’s little luxuries. There is a peak period and minimum 3 night stay at all properties from the 18 December 2019 – 3 January 2020. Book three nights and receive 2 free nights in a More Quarter’s 1 Bedroom Luxury Apartment. Book a minimum of six nights at any MORE property / properties in one itinerary, and receive a further 5% off your contracted Rate. Must specify “DiscoverMORE Package” on enquiry and properties must be requested and booked at the same time. If not requested and stipulated at time of reservation with MORE, the package will not be honoured. Book 3 nights and receive an additional 2 FREE nights in a More Quarter’s Luxury One-bedroom Apartment. Pay for 5 nights and get the 6th night free. Book a minimum of 6 nights at any MORE property / properties in one itinerary, and receive a further 5% off your contracted Rate. Pay for 3 nights at any MORE Safari Lodge, and 2 nights at Stanley & Livingstone Boutique Hotel or Ursula's Homestead and get the 3rd nights free. Must specify “AdventureMORE Package” on enquiry and properties must be requested and booked at the same time. If not requested and stipulated at time of reservation with MORE, the package will not be honoured. Repeat guests will be gifted 10% off their accommodation. Spend 3 nights at any MORE property and one of the happy couple gets 20% off their accommodation rate. 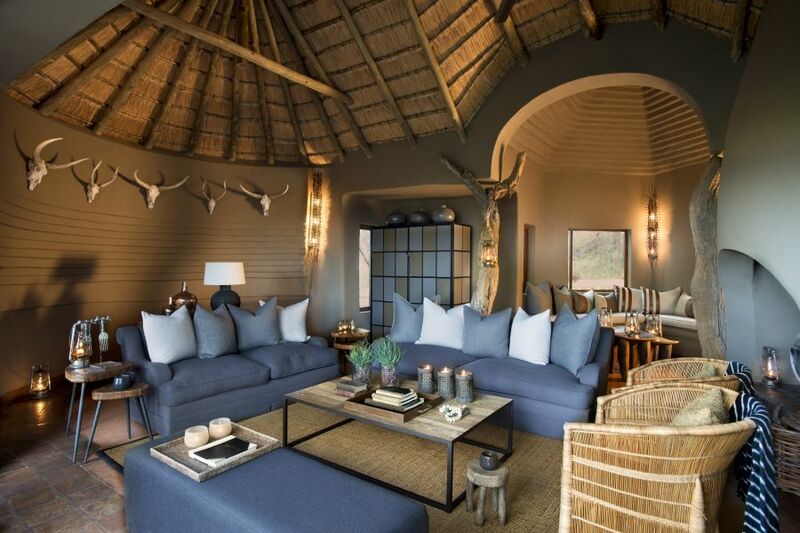 Our three lodges, Lelapa, Dithaba and Kopano comprise of 20 suites in total and give guests a choice to stay together as a group of family and friends, or to have a more private bush experience as a couple. Our staff know exactly how to make you feel welcome, comfortable and relaxed. If you curl up on your couch at home, that is what we encourage you to do with us at Madikwe Safari Lodge. 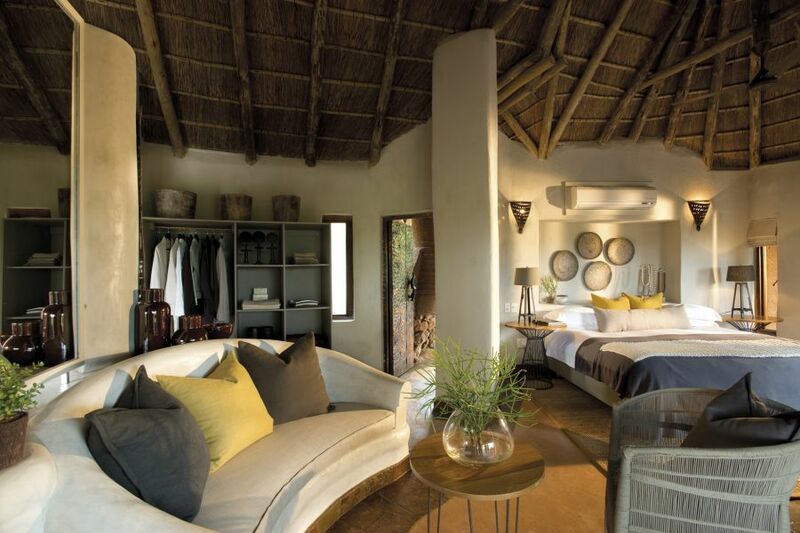 Each of the 12 Suites are spacious, comfortable and ever respectful of the natural environment beyond. 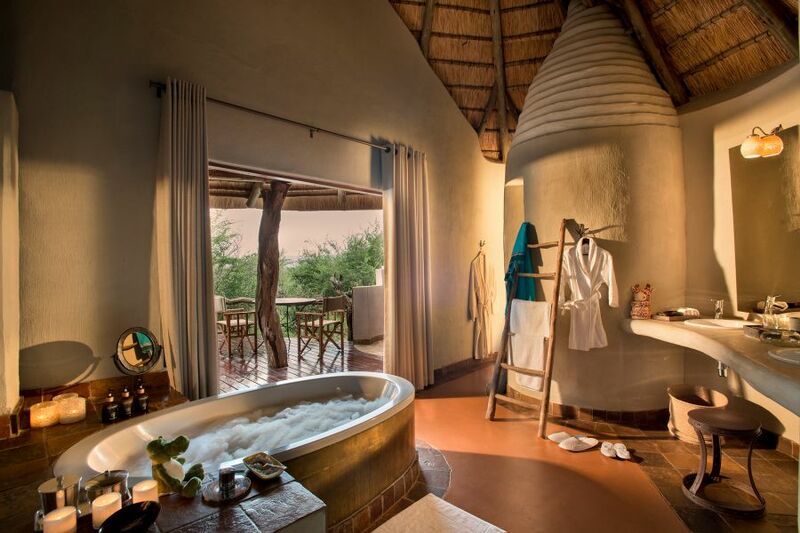 Indoor and outdoor showers, private plunge pool and wood-burning fireplace are just some of the added creature comforts to enhance Mother Nature’s subtle signature. Kopano directly translated means ‘small gathering’. 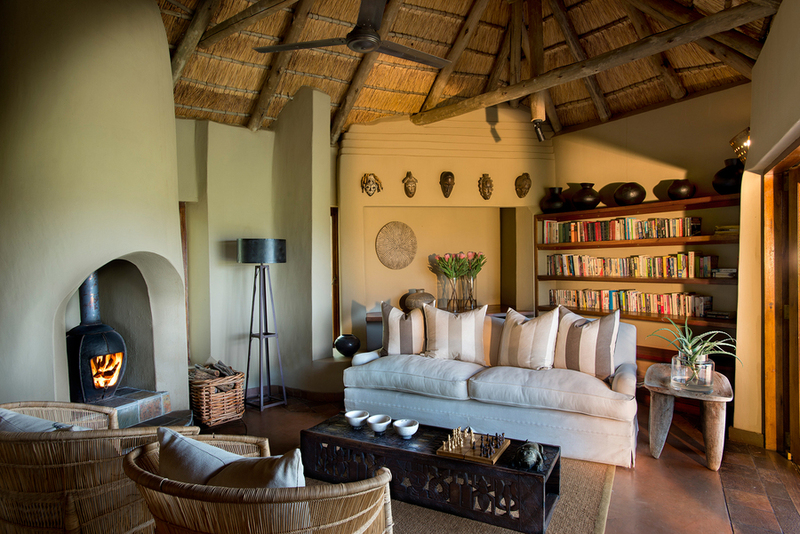 The Lodge comprises just 4 Suites (each with private plunge pool) which share a magnificent common area. 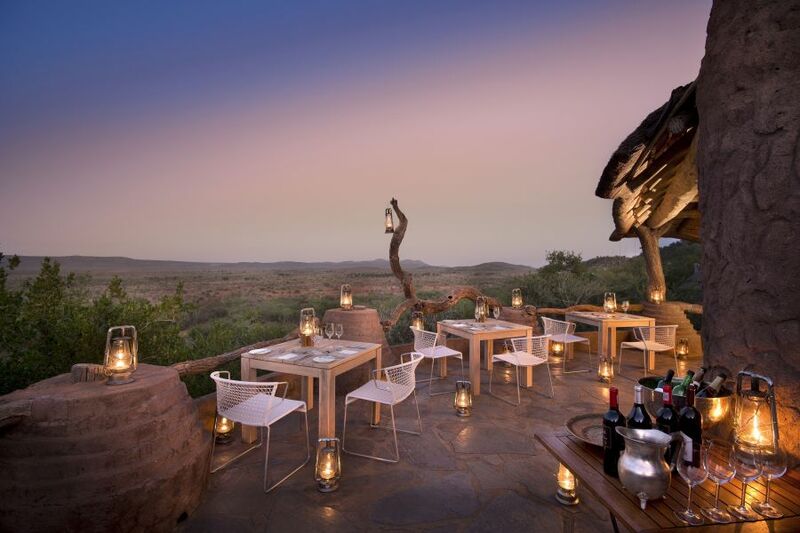 Fine dining to the hoot of an owl, the roar of a lion or the crazed whoop of a hyena is the stuff that dreams are made of. Salut! 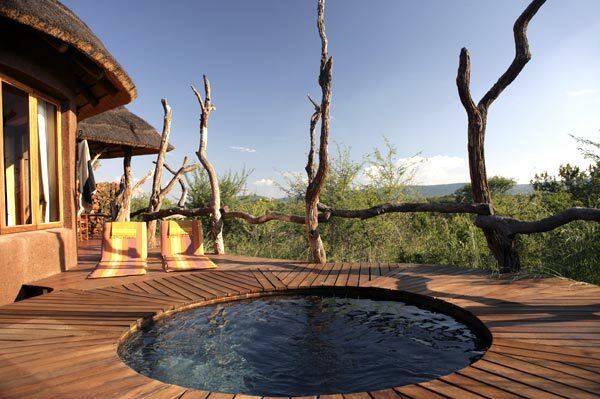 With only 4 Suites (each with private plunge pool), this Lodge is well suited to a group of friends or family members making it their own while on safari. It doesn’t take much to be enamoured by Madikwe. Everything about this place is vast – its landscapes, its heavens, its wildlife. This is rugged Africa, and then some! Those with an adventurous spirit will feel like they have come home. 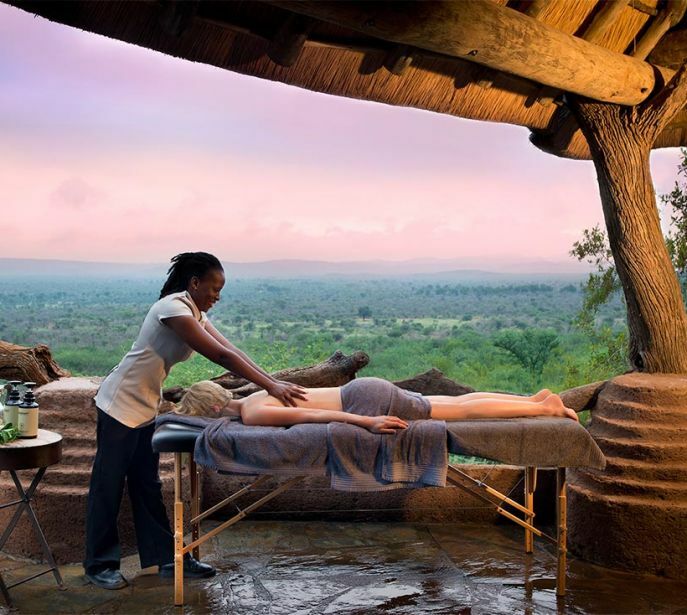 Madikwe offers a number of spa & beauty treatments. Wellness means walking in the wild, breathing fresh air, sleeping well and eating freshly prepared food. 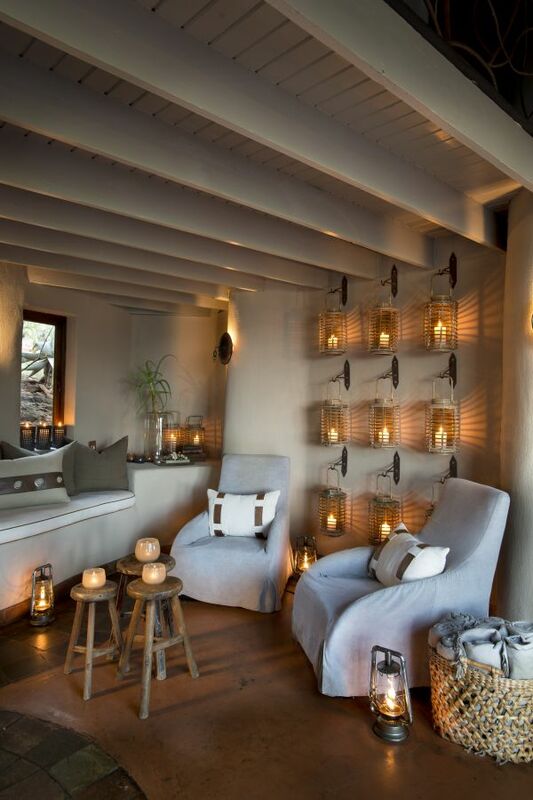 Pamper yourself and indulge in a relaxing and revitalising treatment with Madikwe’s qualified therapist, all in the privacy of your suite. Including Massages, Facials, Reflexology, hand and foot treatments, and a specialised treatment for kids. This is the place for romance. 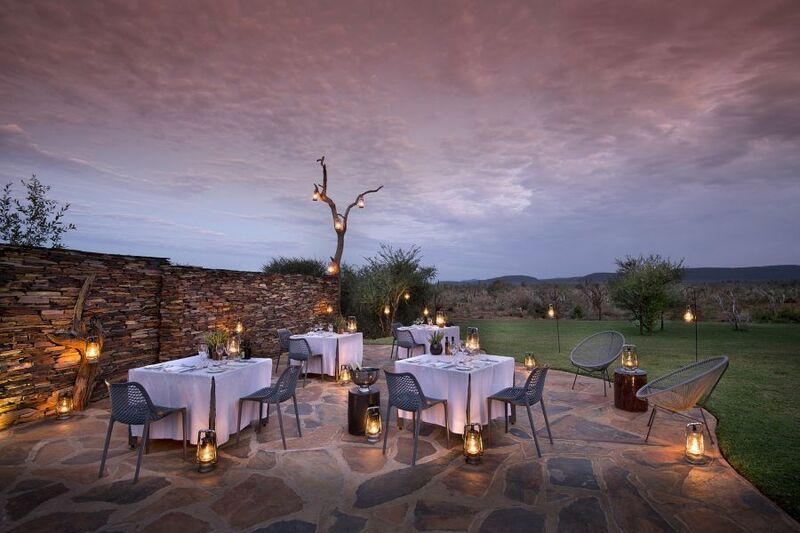 Spend your honeymoon at Madikwe, & take with you beautiful memories of a very special time that will remain with you forever! Whether it’s your first breakaway as a couple or your second honeymoon, you want it to be an unforgettable experience. 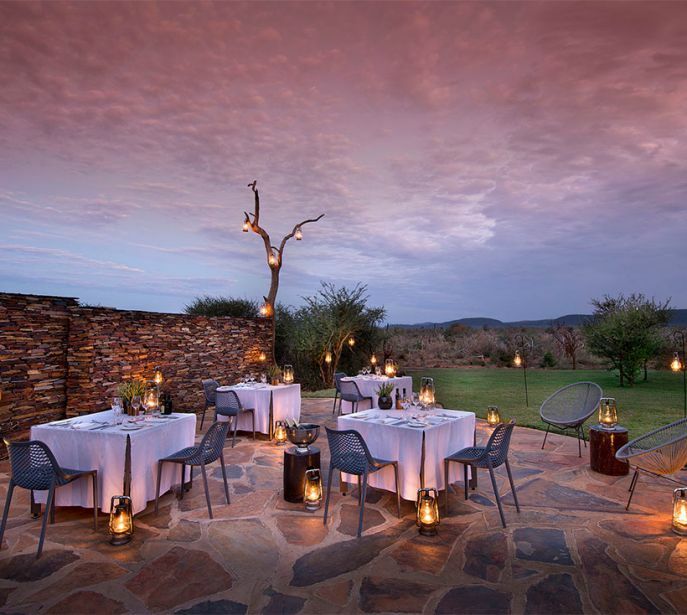 Romantic, idyllic, private and secluded – Madikwe Safari Lodge is the ideal setting to celebrate the start of a new life together or to fall in love all over again. 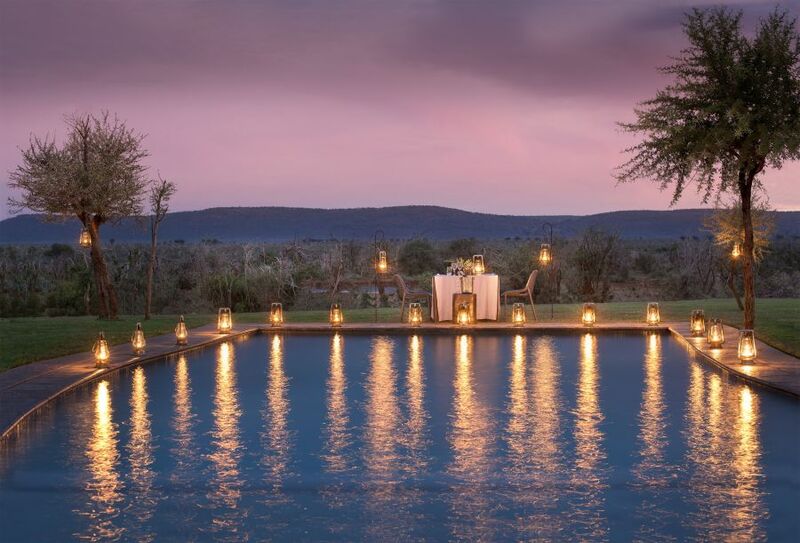 The suites at Kopano Lodge, Dithaba Lodge and Lelapa Lodge are private and spacious, each with its own private swimming pool boasting a breathtaking view over the surrounding landscape. In Winter (May through to August) the wood burning fireplace makes for a beautiful turndown, and the perfect accompaniment to falling asleep as the crackling light flickers throughout the room. “We recently held our wedding here, and what an amazing place with amazing people. We have been to Madikwe before, and knew that we would have an excellent experience but we never thought that they could be even better! They pulled out all the stops, from the rangers to the managers who helped us with every little detail and request – no matter how small. 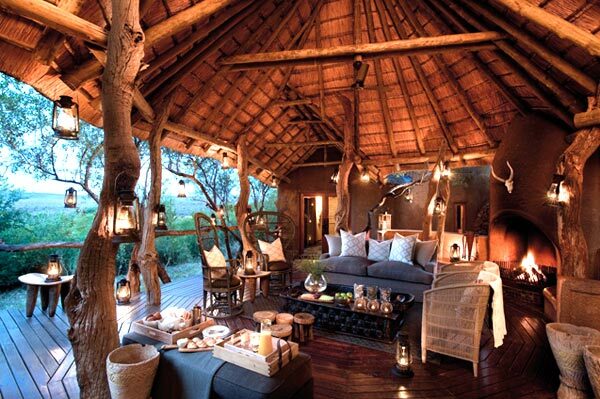 There is arguably no better place to celebrate the start of a very special union than in the African bush. 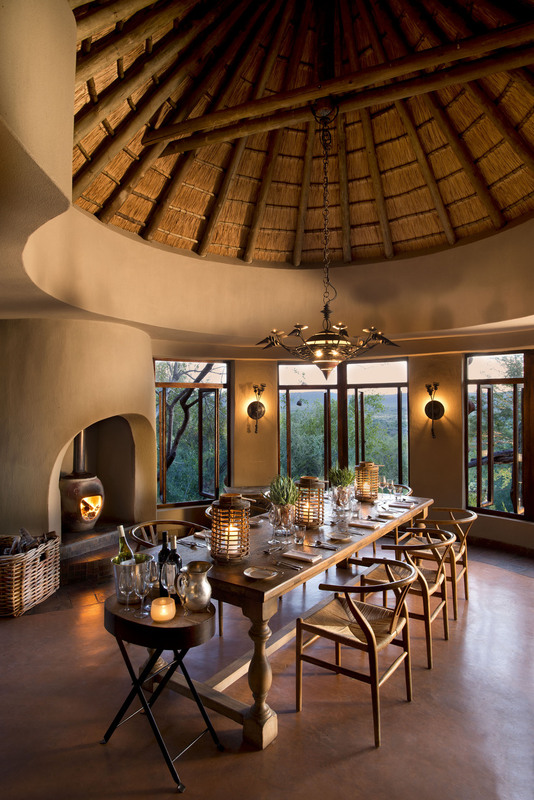 Whether small and intimate, or more extravagant, Madikwe Safari Lodge is highly flexible and can accommodate groups of up to 40 guests across our 3 lodges. Healthy. Fresh. Delicious. Plentiful. That’s the secret to Madikwe’s culinary success. [Unforgettable! Tripadvisor] “I would be remiss if I did not mention the extraordinary food served throughout the visit. From the sit down meals to the impromptu snacks while on the drives in the bush. Everything was delicious! 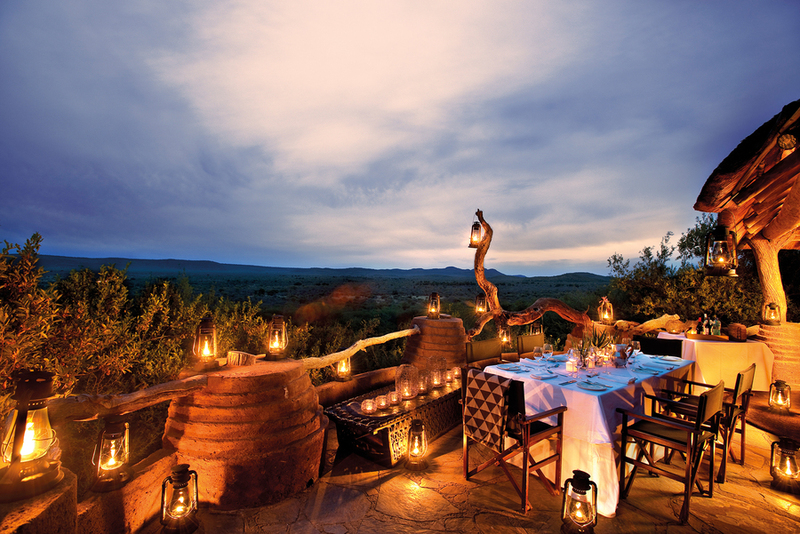 No two mealtimes at Madikwe are the same. Whether in the dining room, on the deck, in the boma or out in the bush – the one thing that remains consistent is the calibre of dishes presented. 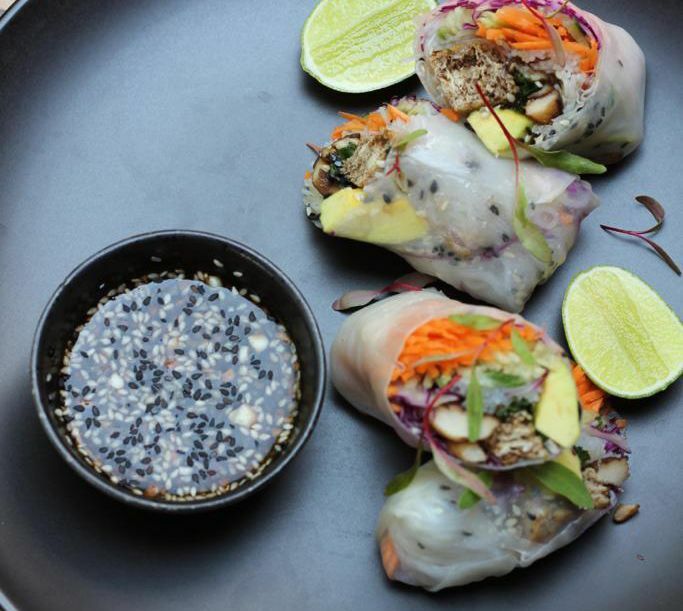 Simple and unpretentious, yet packed with wholesome flavour. Younger palates will also find their flavour, with a full kid’s menu specially crafted around our younger guests. We have carefully created environments that are welcoming to guests of all ages, and encourage your family to feel at home away from home – but with some added luxuries. We provide space and places for loved ones to come together, and with every comfort and convenience afforded, there is time for the rest to take care of itself. Madikwe offers families (with both older and younger children) a very special place to experience something magic together. 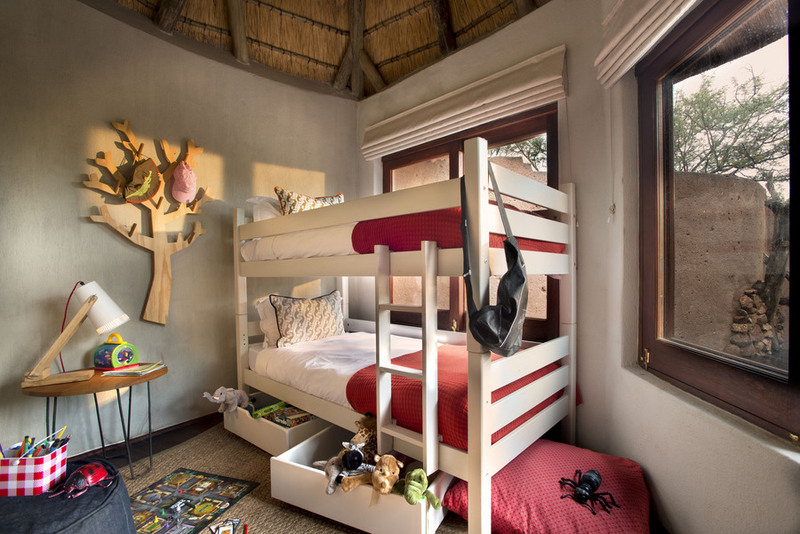 At Lelapa Lodge children of all ages are welcome and we offer a host of activities for their enjoyment. 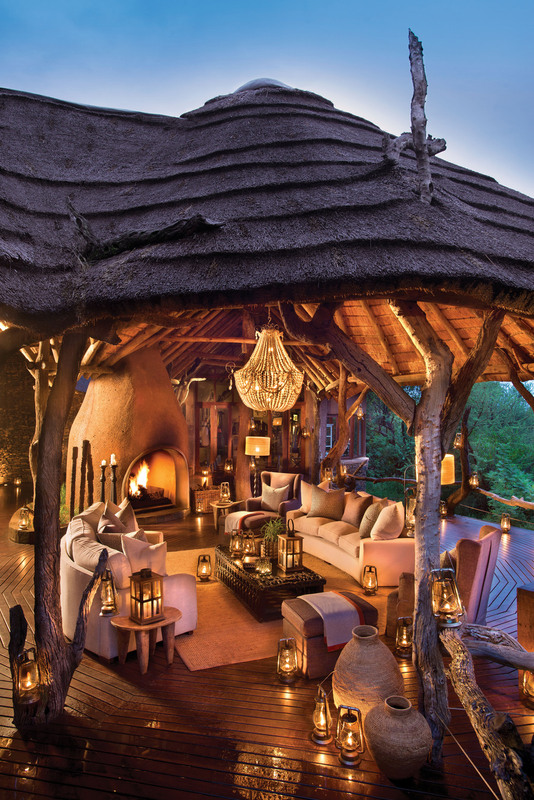 Dithaba Lodge: Regret no children except if the Lodge is booked exclusively. Many of us have kids of our own, so we know and understand what an unforgettable experience it is for children to be in the bush. We have taken a lot of time to design a kids’ menu of activities which will keep juniors entertained, and parents relaxed. The ECO HOUSE is an educational (and entertainment) centre built specifically for kids – and anyone with a fascination for the wild world and its inhabitants. The facility is always a hive of activity, where kids can partake in painting, drawing, making location specific models and arts and get to experience some of the live specimens from the reserve. Parents have the choice of either engaging in the learning with their kids, or stealing a few hours for themselves. 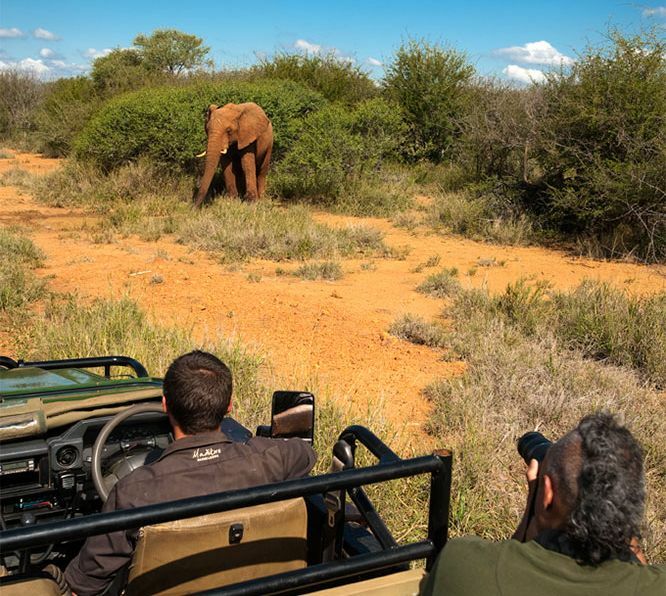 This experience is unique to Madikwe Safari Lodge, and has been crafted in consultation with the owner parents, guest parents, managers and North West parks (who have assisted in all the required permits for the live specimens). In kid language… ECO-HOUSE is just AWESOME! Children between the ages of zero and five years stay free of charge and children aged six to fifteen pay 50% of the per person adult rate. Children under the age of 3 years old are not permitted on any of the daily safari drives, but may participate on a dedicated family safari game drive between 10:00am & 12:00pm daily. Parents are welcome to join this game drive too, subject to the availability of seats on the vehicle. Children younger than 6 years old are not permitted on the scheduled daily safari drives that take place early mornings & late afternoons. Children aged between 3 and 5 years old . Games night, and much more.. Note this route is recommended if you prefer to travel a shorter distance on a gravel road bearing in mind that you do not require a 4x4 vehicle. Continue until you see the sign for Madikwe Safari Lodge (with the relevant Lodge name), where you turn right, off the main road and continue to the Lodge. WELCOME, well done and ahead lies a great few days on safari so time to relax and we will take care of everything from here on in! Please advise us of your estimated time of arrival and note Winter (May to September) game drives leave at 15h30 & Summer at 16h30 so try make it to us before then. 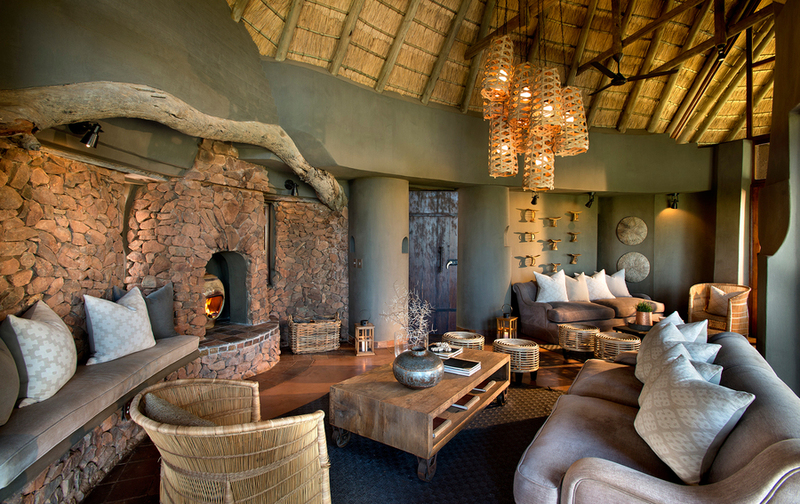 Madikwe Reserve entrance fees are payable per person directly at the Lodge and will be added to your extra’s bill. Please take note that the gate opens at 06h00 and closes at 21h00. Please advise the Lodge if you will be arriving outside of these times so that the relevant arrangements can be made. Head out on safari each morning and afternoon. Start and finish every day out in the wild in search of animals big and small. Whether leopard or chameleon, rhino or dung beetle, no two drives are the same! Game Drives head out early morning at sunrise, and late afternoon just before sunset in search of the many animal species which call this place home. 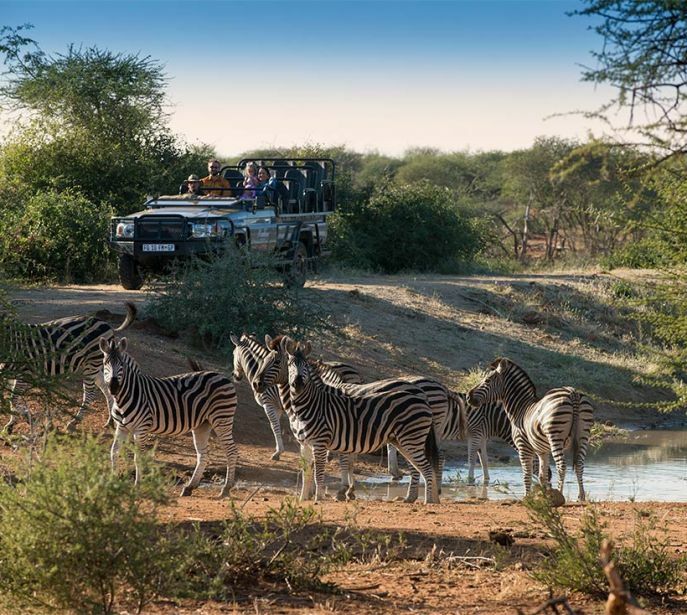 No more than six people at a time (for Kopano & Dithaba lodges) share in a private and intensely personal safari experience in the company of their Madikwe Guide. 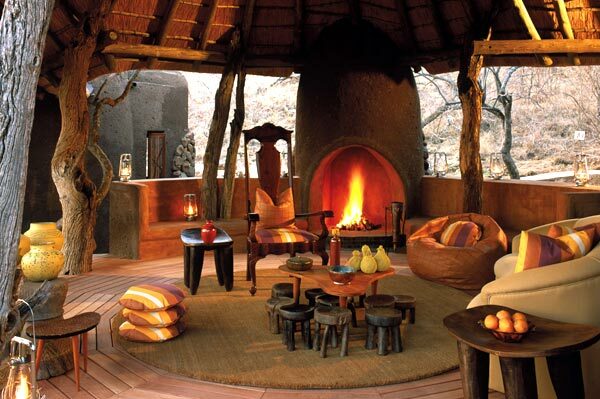 At Lelapa Lodge up to 8 guests are accommodated per safari vehicle. Madikwe, with its rugged terrain, bold colours and habituated wild animal species make for a Photographer’s Dream. Wild Dogs are a signature species of the Madikwe Game Reserve. An allocation of rooms/suites is kept for single travellers where a supplement will not apply. These rooms/suites are subject to availability. A supplement of 50% of the adult rate will be applied if the single rooms/suites are not available. Single supplements will not be wavered when a booking involves one of the MORE Experiences. 3rd person sharing will be restricted to children under the age of 16. Four family suites where the second bedroom has two single beds for children only (under 16 years of age). There is an additional sleeper couch in the family suites for a 3rd child. **Children of all ages are welcome. For safety reasons, children aged 5 years and younger cannot participate on game drives and gaming activities. A family drive is offered for younger children, after breakfast. Children are only accepted if the lodge is booked exclusively. If so, tnen same policy as above ** applies. We regret that we are unable to accommodate children under the age of 16 years. Children aged 16 years and older will be accommodated in their own room and will pay full adult per person sharing rate.